Do you have a sink that drains slower than usual? You might have a clogged drain. To resolve the problem, seek help from professional plumbers in Davie, FL. 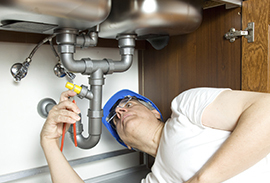 Affordable Budget Plumbing offers reliable plumbing system maintenance and other plumbing solutions. Affordable Budget Plumbing is here to give you dependable plumbing services at affordable rates. Let us know how we can personalize our services to fit your needs. Call us today at (954) 920-4740 and we will solve your plumbing problems right away.